Kim is an RN and author of the book "360 Health: Your Guide to Cancer Prevention, Healing Foods, & Total Body Wellness." There is a common misconception that the gallbladder is not a necessary organ. While it's true that one can survive and live a full life without it, science indicates that the gallbladder plays a big role in digestion, hormonal balance, and thyroid health. 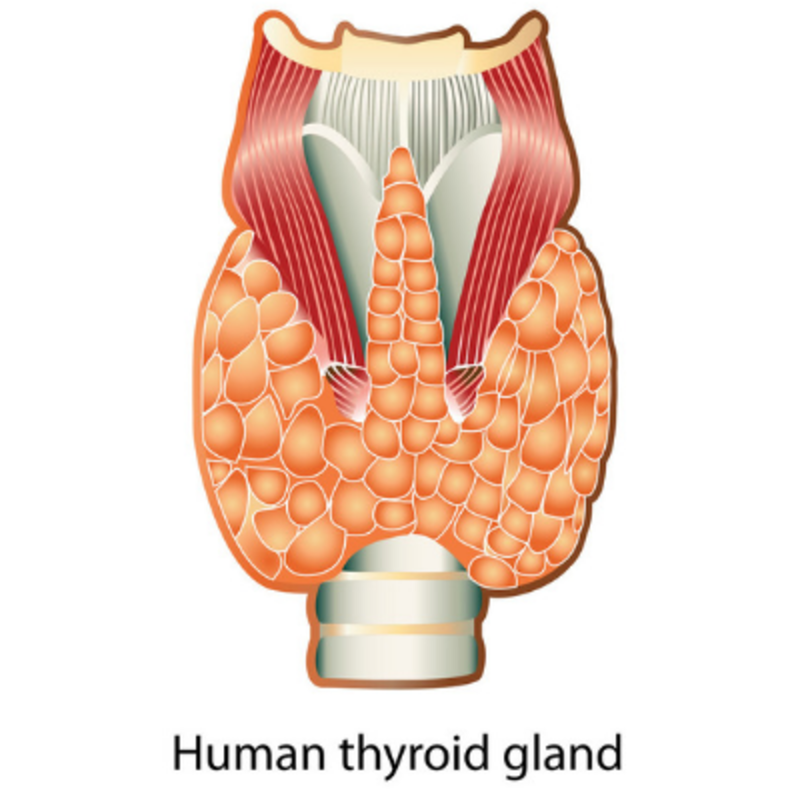 Likewise, the thyroid gland affects the workings of many other organs (like the gallbladder) and is intrinsically connected with metabolism, brain functioning, and energy levels. 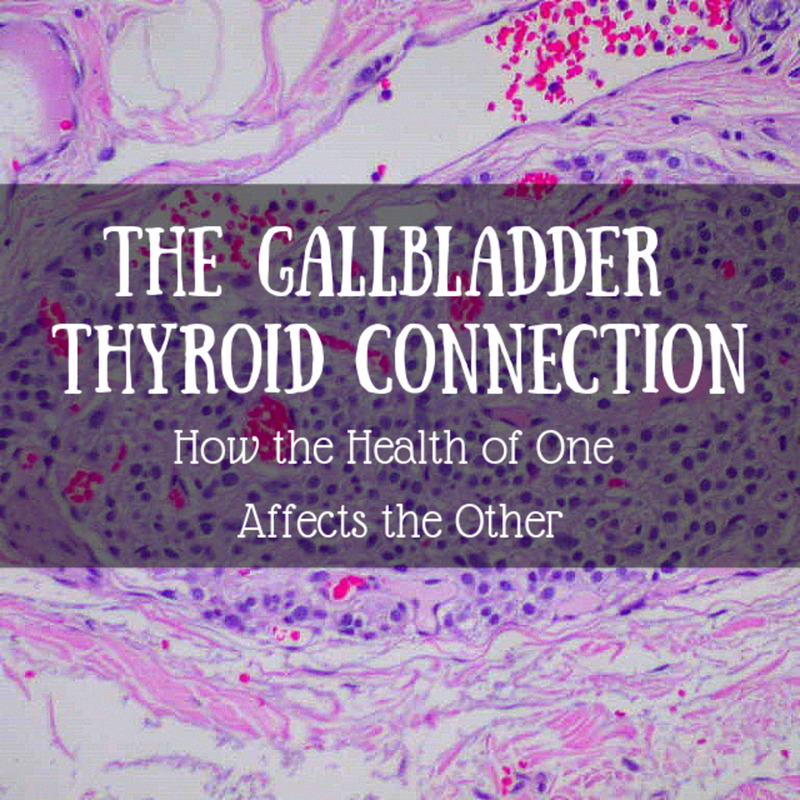 This article outlines how the health of either the thyroid or the gallbladder can directly impact the health of the other organ. Learning to manage ailments associated with these organs and following certain dietary guidelines can benefit the health of your entire body. The thyroid is a butterfly-shaped gland on the front of the neck which produces hormones. The thyroid is a butterfly-shaped organ located on the front of the neck. It produces hormones that are responsible for metabolism, heart health, digestion, brain and mood balance, muscle control, and bone density. When the thyroid is working well, energy is stable and weight maintenance is relatively effortless. However, when one suffers from thyroid disorders, other body systems may become out of balance as well. If someone suffers from hyperthyroidism, the thyroid gland produces too much of the hormone thyroxine. They may experience symptoms like rapid heart rate, weight loss, anxiety, nervousness, increased sweating, insomnia, diarrhea, increased appetite, brittle hair, or an enlarged thyroid gland or goiter. The autoimmune version of hyperthyroidism is called Graves' Disease. If someone suffers from hypothyroidism, or a slow-functioning thyroid, not enough thyroid hormone is produced. Symptoms of an under-active thyroid include fatigue, depression, weight gain, thinning hair, heavy menstrual periods, painful joints, constipation, muscle weakness, and high cholesterol. Autoimmune thyroid disease is known as Hashimoto's Thyroiditis. The gallbladder secretes bile which helps to break down and metabolize fats. The gallbladder sits right underneath the liver. Its main function is to store and secrete bile. Bile breaks down the fats we consume making them easier to digest and be used by the body. If the gallbladder is removed, bile flows directly from the liver into the intestines but is not concentrated. When the gallbladder is not functioning properly, gallstones or biliary stones may occur. These can block the release of bile and cause severe pain and discomfort. Other symptoms of gallbladder dysfunction include bloating, constipation, light-colored stools, and gas. Although seemingly far removed in the body, researchers and doctors now understand that the two organs are interconnected in certain bodily processes. 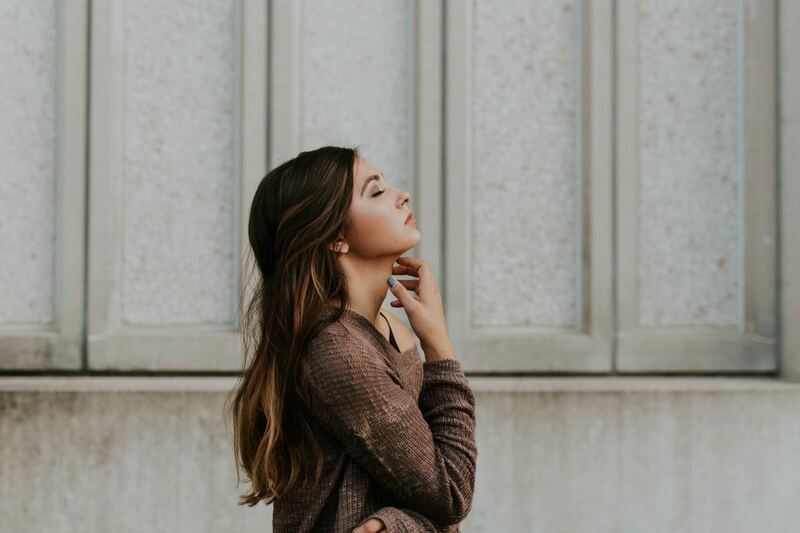 An under or overactive thyroid may result in the formation of gallstones, and an ill-functioning gallbladder may create problems with thyroid functioning. Both organs play a role in proper digestion and metabolism, so it follows that if one is not working properly, the other may suffer. Hypothyroidism can cause the gallbladder to become sluggish and congested. [...] Studies show more gallstones and bile duct stones among those with hypothyroidism. — Dr. Datis Kharrazian, Author of "Why Do I Still Have Thyroid Symptoms When My Lab Tests Are Normal?" "Hyperthyroidism induces cholesterol gallstone formation by regulating expression of the hepatic nuclear receptor genes such as Lxrα and Rxr, which are significant in cholesterol metabolism pathways. However, hypothyroidism induces cholesterol gallstone formation by promoting cholesterol biosynthesis." Different mechanisms may be at play depending on whether the thyroid is over or under active. However, the results appear to be the same. Studies have also shown that low thyroid hormone may precipitate low gallbladder functioning. The Sphincter of Oddi, which controls the release of bile into the small intestine, has receptor sites for thyroid hormones. When thyroid hormones are low, the sphincter may be unable to fully relax and release bile. Thus, bile can accumulate and cause gallstones or bile duct stones to form. The thyroid also affects cholesterol metabolism. Hypothyroid patients usually have a notable increase in low density lipoprotein (LDL) cholesterol. Cholesterol hyper-saturation of the bile and cholesterol crystallization are two of the major factors contributing to the formation of gallstones. In addition, low thyroid slows metabolism. This can delay gastric emptying and cause bile flow to back up and create a kind of biliary sludge, easily resulting in stone formation. Sluggish bile can slow your thyroid. And 85% of us over 40 suffer from insufficient or poor-quality bile. — Ann Louise Gittleman, Author of "Radical Metabolism"
The inactive thyroid hormone T4 is largely converted to the active form T3 in the liver. T3 is the thyroid hormone responsible for many of the neural and metabolic activities of the body. Fats are needed to make this conversion happen. So, if someone has had their gallbladder removed, bile is no longer concentrated but trickles out constantly from the liver. This means that often fats are not broken down properly and cannot be used in this conversion process. As a result, not enough useful thyroid hormone is made and metabolism also slows. A lack of bile can also lead to insulin resistance. Recent research has shown that bile acids activate a little-known receptor to overcome the loss of insulin sensitivity. But when bile is not optimally released, blood sugars may increase as a result. Having insulin resistance or diabetes (type 1 or type 2) doubles the risk of developing thyroid disease. In fact, excess or deficient insulin can induce changes in thyroid hormone production and activity. So, having normal insulin levels is imperative for a healthy thyroid. Estrogen dominance plays a role in thyroid and gallbladder disorders. There is a common belief that those who fall into the "4 F's" category often get gallbladder disease. Those F's are female, fertile, fat, and forty -- meaning that women who are overweight and in the later stages of child-bearing years are the most typical patients who present with gallbladder-related issues. To some extent, this actually makes sense. Estrogen dominance plays a role in the development of both gallbladder and thyroid disease. A woman may develop excess estrogen for several reasons. Taking oral contraceptives or HRT (hormone replacement therapy) can increase estrogen. Pregnancy causes estrogen to rise exponentially. 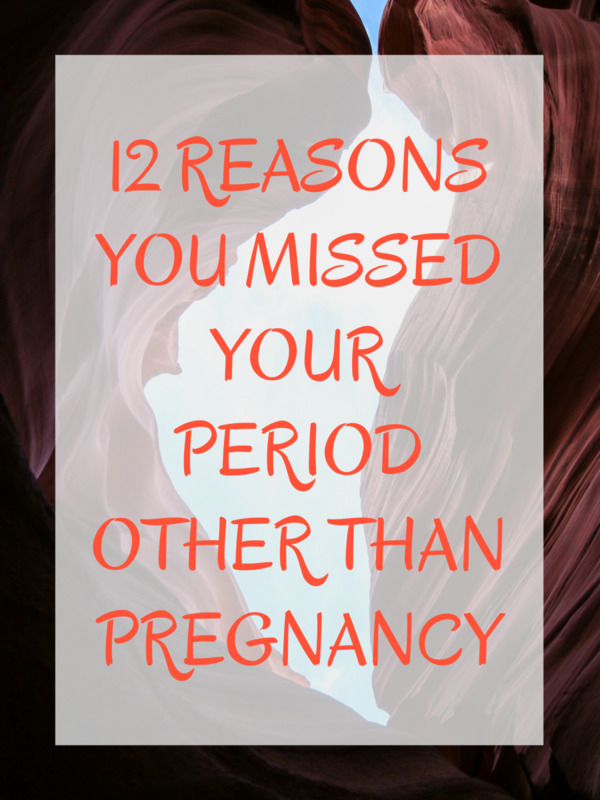 A woman will produce more estrogen during one pregnancy than throughout her entire life when not pregnant. In the peri-menopausal years, estrogen levels may shift wildly. As progesterone falls, relative estrogen levels become prevalent. Being overweight also increases the risk of excess estrogen. 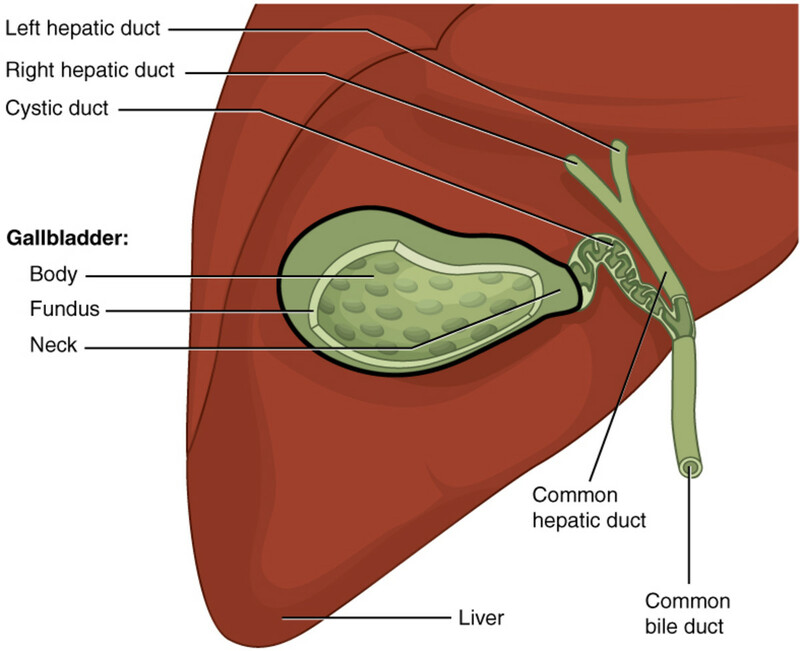 Bile helps to break down and excrete excess hormones. With gallbladder dysfunction, estrogen is not removed or detoxified in the same way and may build up in the body. To compound the matter, estrogen dominance can also lead to thick sluggish bile, resulting in gallstones. As for the thyroid, it too may suffer from excess estrogen. Estrogen competes with thyroid hormones for thyroid receptors. When there is an overabundance of estrogen, these receptors become filled with estrogen instead of the intended thyroid hormone. This prevents thyroid hormones from getting into the cells, thus creating a hypothyroid state. Treatments may include diet, supplements, medication, and lifestyle changes. Depending on the root cause, treatment options will vary. It's important to work with your doctor and to get adequate lab work completed so as to determine the issue. Protocols will vary based on whether the problem is thyroid, gallbladder, or estrogen-related. 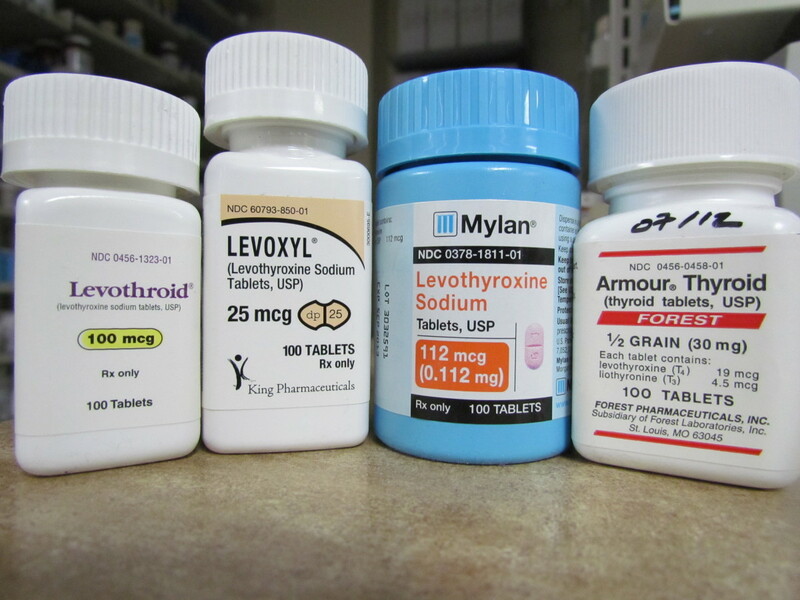 The standard treatment for hypothyroidism typically involves daily use of the synthetic thyroid hormone levothyroxine (Levo-T, Synthroid) or a naturopathic treatment such as Armour or desiccated thyroid. An overactive thyroid (hyperthyroidism) may be treated with medicines that block its ability to produce thyroid hormones. At times, radioactive iodine is used to shrink the thyroid or surgery may be required to remove part or all of the gland. Diet plays a big role in optimal thyroid functioning. Healing the gut is of utmost importance since gut health may be directly tied to not only thyroid health but the development of autoimmune thyroid conditions like Hashimoto's or Graves' Disease. Dr. Dhatis Kharrazian suggests removing any foods that may cause underlying sensitivities. These include gluten, dairy, eggs, soy, corn, and yeast. The recommendation is to eliminate these potential triggers for two to three weeks to see whether or not thyroid functioning improves. Helpful supplements may include vitamin D (since 90% of those with thyroid dysfunction have low levels), B vitamins, selenium, digestive enzymes, Betaine HCL, probiotics, and adaptogens like ashwagandha. If someone develops gallstones which completely impede bile flow, the gallbladder is usually surgically removed in a procedure called a cholecystectomy. However, medications may also be used to help dissolve the stones. If the gallbladder has been removed or if improved functioning of bile flow is required, dietary strategies can make a large impact. Drinking lemon water or coffee and eating bitter foods like grapefruit, ginger, thyme, arugula, watercress, or dark chocolate may help. These can all assist bile in breaking down food. Eating more vegetables, especially cruciferous veggies like broccoli and cauliflower, will also help since they feed beneficial bacteria and recycle bile. Dr. Eric Berg warns that a high carbohydrate diet should be avoided. Carbohydrates can increase cholesterol levels, resulting in increased biliary sludge. Increased insulin (from the consumption of simple sugars) also decreases bile formation. Historically, doctors thought that a high fat diet caused gallbladder disease. However, Dr. Berg warns against low-fat diets which may not contain enough healthy fats to make bile in the first place. In order to get the necessary fats to make bile, whether you have a gallbladder or not, you could also consume MCT oils. MCT contains caprylic acid which bypasses part of the digestive processes. Other healthy fats to consume include salmon, avocado, and coconut oil. Helpful supplements can include bile salts or ox bile which enhance your internal bile production. HCL (hydrochloric acid) can also help since stomach acid tells the liver to produce bile. Choline can help to decongest a fatty liver and is lipotropic (helps catalyse the breakdown of fats). Digestive enzymes like lipase may help digest fats. Milk thistle has been shown to detoxify the liver. Turmeric curcumin may increase the solubility of bile. Evening primrose is an essential fatty acid which helps break down the cholesterol in bile and prevent its crystallization. Estrogen dominance occurs for a myriad of reasons. If a woman is taking oral contraceptives, changing to a low-dose estrogen pill or discontinuing its use may be important. Post-menopausal women on HRT may also need to cease this therapy or seek bio-identical hormone use. If pregnancy is the cause, likely hormones will stabilize after the baby's birth. However, if this is not the case, progesterone creams may counteract the excess estrogen. Supplements may also be beneficial. Calcium d-glucarate supports the liver’s role in detoxifying and eliminating excess estrogen and its harmful metabolites. DIM contains extracts from the Brassica family (which includes broccoli and cabbage) that help maintain safe estrogen levels by aiding the conversion of dangerous estrogen to more favorable ones and by promoting restoration of healthy hormone ratios. Vitamin C helps progesterone levels to counteract the effects of elevated estrogen. Chaste tree works by increasing luteinizing hormone which helps to raise progesterone levels so that estrogen levels are not so dominant. Black cohosh reduces menopausal symptoms related to estrogen imbalances. It may also be important to avoid xenoestrogens in things like many over-the-counter skin care products (that contain parabens and phthalates) and plastic water bottles (that may contain BPA). These environmental estrogens can increase toxic estrogen levels. As far as diet goes, getting in more fiber especially through fruits and vegetables will help with the elimination of excess estrogen. Be sure to purchase organic produce when possible to avoid pesticides which also have estrogen-mimicking properties. Hydration is a key factor, so consuming lots of filtered water will help the kidneys further flush unwanted estrogen. Alcohol should also be used in moderation or even avoided as it may contribute to increased estrogen levels. When consuming meat and dairy, it is important to look for organic and grass-fed versions of these foods since conventionally-raised animals are often given hormones and antibiotics. These play a role in toxic estrogen burden when consumed by humans. Lastly, weight loss may be important. Obesity causes estrogen levels to rise. In fact, it is now well established that obesity is a risk factor for postmenopausal breast cancer, particularly the development of hormone-responsive tumors. Exercise is also critical. The benefits of exercise are two-fold. Exercise induces sweating which helps to detoxify the body, and it can lead to weight loss. Thyroid disease and gallbladder dysfunction can be complex maladies, and each person may present with different symptoms. It is important to work with your physician, to get accurate lab testing, and to treat the body as a whole entity. Finding and addressing the root cause is essential for optimal diagnosis and treatment. Dr. Eric Berg: "The Gallbladder, Thyroid, and Cholesterol Connection"
Wang, Y. et al. "Thyroid Dysfunction, Either Hyper or Hypothyroidism, Promotes Gallstone Formation by Different Mechanisms." Journal of Zhejiang University Science, July 2016, https://www.ncbi.nlm.nih.gov/pubmed/27381728. Graefer, Debbie. "The Gallbladder and Hormone Balance Connection, and What Does It Mean When You Don't Have a Gallbladder?" Hormones & Balance, https://hormonesbalance.com/articles/gallbladder-hormone-balance-connection-mean-dont-gallbladder/. "Radical Metabolism," Dishing Up Nutrition Podcast, 27 August 2018, https://www.weightandwellness.com/resources/podcasts/radical-metabolism/. Berg, Eric. "What Really Causes Gallstones?" Online video. YouTube, 30 September 2018, https://www.youtube.com/watch?v=C5PweRDxf6g. Graefer, Deborah. "Manage Your Thyroid, Save Your Gallbladder," Gallbladder Attack, 29 August 2017, https://www.gallbladderattack.com/blog/manage-your-thyroid-save-your-gallbladder/. Kharrazian, Datis. "Good Thyroid Health Depends on Good Gut Health," Dr. K News, 6 September 2010, https://drknews.com/good-thyroid-health-depends-on-good-gut-health/. "How Bile Acids Could Fight Disease," Science Daily, 13 November 2014, https://www.sciencedaily.com/releases/2014/11/141103192038.htm. Gilles, Gary. "The Connection Between Thyroid Disease and Diabetes," Very Well Health, 15 January 2019, https://www.verywellhealth.com/thyroid-disease-and-diabetes-3289616. Cleary, Margot et al. "Obesity and Breast Cancer: The Estrogen Connection," Endocrinology, 16 April 2009, https://www.ncbi.nlm.nih.gov/pmc/articles/PMC2689796/. Thank you so kuch for this article. I suffer from Hashimoto's and had my gallbladder removed 5 days ago. In a sometimes seemingly hopeless world, I was glad to come across your article. My journey with my thyroid has been a journey to staterhe least. I have days when I cry, can't move due to chronic pain, and feel all hope is gone. This rece t surgery, i decuded to approach in a different manner. Research and implement. Feeling hopeful. Very informative and helpful article. I learned valuable facts that I had not known before. Thanks for your clear and detailed presentation. Thank you Jennifer for reading the article. Thyroid conditions plague so many people which is one of the reasons I wanted to write the article. I hope you have found ways to manage your condition and have also found a doctor willing to listen to your needs. All the best! I was diagnosed with a thyroid disorder several years ago I'm and still trying to understand it. I feel like many doctors don't really completely understand it either. There's so much information out there but I have never come across anything relating the gallbladder to the thyroid. Thanks for the information. Very interesting read. Thank you for reading @RTalloni. I appreciate your comments! And I agree, holistic medical practitioners are still very much lacking. Thank you for sharing important information in an excellent post. It is not always easy to find a doctor who will treat the body as a whole.